Instagram is back at it with a brand new video platform for businesses. In a San Francisco event, the company announced the launch of IGTV. This new longer-form video format will allow users to upload videos up to one hour in length. IGTV can be accessed from a button within the Instagram home screen. Users can also download the IGTV standalone app for iOS or Android to watch these videos. As soon as you log in, the app will start playing videos from accounts you follow. 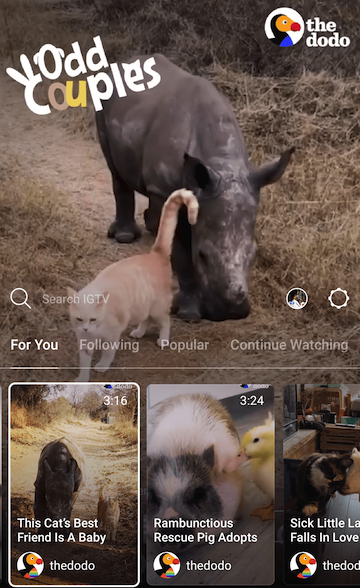 Besides that, you can also watch popular videos on IGTV. Everyone who has an Instagram account can create an IGTV “channel” of their own and upload vertical videos. To start with, most users will be able to upload videos up to 10 minutes in length, with larger accounts having the capability to post videos hour long videos. As of now, IGTV does not have ads, but it’s something the company might eventually add. At Schedugram, we are closely monitoring to see how the Instagram community responds to IGTV, and where brands are deciding to use it. Based on the popularity of IGTV over the first few weeks of launch, we’ll look at how we might add it to our platform. Are you excited about the launch of IGTV? Let us know in the comments below.